Apart from regular cleaning, there are some specific cleaning requests to be catered. To satisfy those special needs you might look for different companies to depend upon. Like in case you want to clean your greasy oven you need oven cleaning company Vancouver to make walls & windows spotless you need to take services from wall washing Vancouver & window washing Vancouver companies separately. One Minute! The bathroom is still left, now a bathroom cleaning company Vancouver too. This is the best way to screw up your life; dealing with multiple companies and number of cleaning assistants. We have a better way for you. With Ecof Cleaners you can make all your special cleaning requests to us and with our special request cleaning service Vancouver, we will provide specialized cleaners for all your needs. All our clients say that getting services from a single company is much easier and manageable than outsourcing it to multiple providers. Therefore we are trying to give more and more services through our special request offering. Primo Oven Cleaning Company Vancouver. Cleaning the oven is the least preferred task at home. Obviously preparing meals is a huge task on its own. And after that cleaning oven, no way! Even if you put efforts to complete the task once in a while, regular cleaning methods and home products are ineffective against those stubborn spots and marks. At Ecof Cleaners we know how to remove all those tough stains. Our friends from special request cleaning service Vancouver are trained enough and deal with all this properly. It’s easy with those toxic chemicals! We know that it’s easy but we what to prolong the life of your oven and our lovely earth. This is why we use only eco-friendly products in all our services including wall washing Vancouver and window washing Vancouver. Thanks to our experienced cleaners! We can take care of your bathroom too so in case you are looking for some bathroom cleaning company Vancouver, you may stop. We will take of your bathroom as well. Simply book cleaners for all your special requirements from once place – Ecof Cleaners! Brilliant Bathroom Cleaning Company Vancouver. In our special request cleaning service Vancouver, we have carefully given place to bathroom cleaning. Does that mean Ecof Cleaners in addition to oven cleaning company Vancouver is a bathroom cleaning company Vancouver as well? Yes, Why not? It’s fine that cleaning the bathroom is a daily task. However, with daily clean sometimes your bathroom needs extra care. 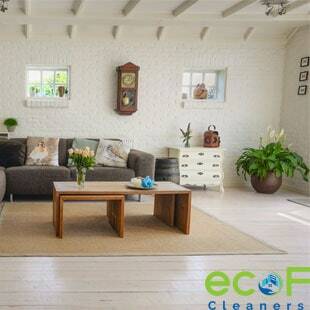 Cleaners from Ecof Cleaners give that care and take care of rigorous cleaning of your house. Tiles and flooring of the bathroom get dirty and dull due to the frequent use of water, detergents and those so-called ‘cleaners’. All those cleaning tasks like wall washing Vancouver, cleaning surfaces and accessories and many more are covered under our cleaning service. In our cleaning process, our focus is not just to make bathroom shine, but to make it a hygienic and free from infections. We at Ecof Cleaners understand cleaning solutions well and use only bio-products that are safe for all. We provide you with the solution to find the best bathroom cleaners and maintain the health of your bathroom without stretching your budget. We explained to you how we serve as an oven cleaning company Vancouver. But in offering a bag of special request cleaning service Vancouver, we have more. We know that you love those beautifully painted walls and so the hands of your kid. They show their artistic side on the canvas of house walls. In case you are trying to clean it on your own, wait. It’s not that easy and those harmful regular cleaners can rip the paint off your walls. You might end up in the awful view. So, please let our expert cleaners do that for you. They will do wall washing Vancouver with soft cleaners and advanced equipment. Each paints demand a different solution depending on its base. Therefore only specially trained professionals can keep your wall beautiful by removing those bad-looking spots and not the gloss of that wall. Apart from that, they know about window washing Vancouver as well, giving you more options for getting multiple services at once. So just relax, let your kid use its wide canvas and our cleaners to clean it for you at affordable prices. Smudge Free Window Washing Vancouver. Thanks to our strong network of professional cleaners, we can handle various tasks. They allow us to become a top oven cleaning company Vancouver and bathroom cleaning company Vancouver. Due to them, we are able to provide wall washing Vancouver services. They don’t let us stop here and therefore we bring one more service to your doorstep, window washing Vancouver services. Dirty windows not only look bad but they impact you in a negative way too. How? First and foremost they allow lesser amount of sunlight and secondly, they burn a hole in your pocket. If windows are kept unclean for long, due to the weather effect they get damaged thus resulting in frequent change. Ecof Cleaners use the latest technology that results in a spot-free shine. And our equipment and skilled cleaners are ready to clean the window in the toughest of location. When you hand over the cleaning task to us then you should know that the task is in the rights hands. Our professionals know how to free your windows from the cruel substances and loads of dirt. Total Special Request Cleaning Service Vancouver. In life, there are various events when we feel the need for a special request cleaning service Vancouver. Without affected by the event, Ecof Cleaners are ready to satisfy your special and specific cleaning demand as we call our self the best bathroom cleaning company Vancouver BC. With so many occasions to celebrate in this unpredictable life, doing tasks like wall washing Vancouver, window washing Vancouver, and others is a sheer waste of time. In cleaning, Ecof Cleaners is the only name you should remember. You can get to know how dependable we are when it comes to meeting schedule and deliver quality. It’s easy! Simply ask any of our customers and you will hear the same from everyone – Ecof Cleaners is the best. No matter how small or big is your requirement; we take it seriously and give special attention to all the areas of work. We are flexible and change as per the requirements except in delivering exceptional quality on time. Thus, you can trust Ecof Cleaners and offload all your special cleaning needs to our specialized professionals. Established Oven Cleaning Company in Vancouver. We’re ready will everything to help you any time. All members at Ecof Cleaners want to provide as much ease as possible through our cleaning services. Our professional team takes care of your comfort in all the provided services and accordingly we use information provided by you to make cleaning plans. Right from being your oven cleaning company Vancouver to your bathroom cleaning company Vancouver, in every manner we promise to deliver the best. With our special request cleaning service Vancouver, we cover all your special needs at once whether you are looking for someone for window washing Vancouver or wall washing Vancouver; we are always there for you. We know the importance of last minute cleaning and with our fast booking process provide you with required professional cleaner in no time. Our company understands the feeling of love you have towards your home & family and take all the precautions so that they remain safe, providing with well-known professional cleaners with a nice background and work experience. 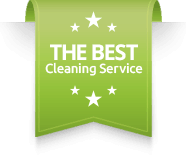 We feel that our company is the right one to take off all your cleaning tasks. If you feel the same then take free estimate form and book your next service professional from us. Cleaning is an art and each member of Ecof Cleaners has mastery in the same. 1. Is There Any Reputable Oven Cleaning Company In Vancouver? A. Yes, Ecof Cleaners provides all special requests cleaning service in Vancouver and that includes oven cleaning, window cleaning and much more more over all cleaners from the company have a nice track record. 2. What Would Be Cost Of Taking Services From Bathroom Cleaning Company In Vancouver? A. It’s not too expensive as it depends on the size and type of the oven and getting a free estimate from Ecof Cleaners in Vancouver would help in knowing the exact cost. 3. What Chemicals Are Used By Wall Washing Company In Vancouver? A. 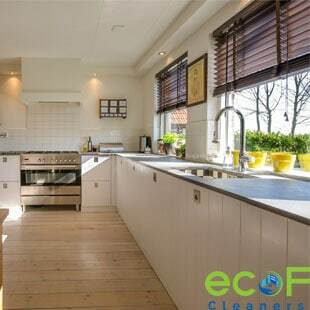 Almost all companies avoid harsh chemicals as Ecof Cleaners use eco-friendly products ensuring the safety of oven in Vancouver city. and this is basic in all the offerings. My work schedule is very hectic so even thought of cleaning oven is like a nightmare to me. Thanks to affordable services from Ecof Cleaners. Best oven cleaning company!